Hunterdon Land Trust’s Fundraiser, “Treasure Hunterdon” ~ The History Girl! Take a step back in time while helping protect the future by joining the Hunterdon Land Trust for its annual Treasure Hunterdon fundraiser on Saturday, June 28, 2014 from 10:00 am to 2:00 pm. This family-friendly event encourages you to celebrate Hunterdon County’s 300th anniversary by getting out and exploring its historical treasures. This year’s event highlights the southern half of the county. Participants can explore private and public sites such as the historic Dvoor Farm in Flemington; Headquarters Farm in Delaware Township; the Prallsville Mills in Stockton; Oak Summit School, Old Stone Church and Cemetery in Kingwood; Holcombe-Jimison Farmstead in West Amwell; the Black River and Western Railroad in Ringoes and the James Marshall House in Lambertville. "Treasure Hunterdon is a statement encouraging our community to venture out and enjoy what makes this county special," said Patricia Ruby, executive director of the Hunterdon Land Trust. "This year we are celebrating the county’s 300th anniversary by highlighting sites that especially represent our local heritage, and we hope participants will be inspired to support the Hunterdon Land Trust’s work to safeguard Hunterdon’s natural resources and rural legacy." The festivities kick off at 10:00 am at a morning reception on the Dvoor Farm where participants can check in, enjoy a breakfast reception, and receive their tour map. This itinerary is designed to take travelers past scenic vistas, covered bridges, beautiful historic homes, and more. Check in will begin at 10:00 am and will be open until 11:30 am on the day of the event. The route will take about two hours. 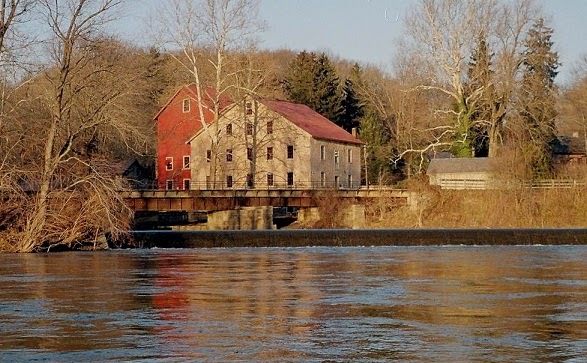 The event ends in Lambertville where, if you choose, you can join up with another Hunterdon County Tricentennial event: “Lecture and Walk - History of the D&R canal” which will begin at 2:00 pm at the Lambertville Justice Complex. Treasure Hunterdon also features a drawing for a chance to win a shopping spree at the Hunterdon Land Trust Farmers' Market. Participants will have two chances to win: Everyone who is registered will receive a ticket for one drawing for a $125 shopping spree at the market. There will be a second $125 spree awarded to someone who helps spread the word about Treasure Hunterdon on Facebook, Twitter, and Instagram. Tickets cost $30 per adult, $15 for children 4 to 16, and free for kids 5 and under. All proceeds benefit the Land Trust’s efforts to safeguard the rural character and special places of Hunterdon County. To register, visit the Hunterdon Land Trust website at www.hunterdonlandtrust.org or contact Christine Dimas or Judy Wilson at 908-237-4582, or via email at christine@hunterdonlandtrust.org or judy@hunterdonlandtrust.org for more information. Treasure Hunterdon is sponsored by Basil Bandwagon Natural Market, Team Capital Bank, Tom McMillan with Weidel Realtors and Matt’s Red Rooster Grill. Treats for the morning reception are being donated by ShopRite of Flemington and Teaberry’s Tea Room.